Home Articles What is dry needling? Dry needling is a term that only really came to light in recent years. But where did it come from? Is it a new therapy? What is “dry” about dry needling? To be short, dry needling is acupuncture (that is, solid needles inserted into the body for therapeutic effect) done by people not formally qualified as acupuncturists. Not that long ago, in the wild days of unregulated Chinese medicine practise, this needling was simply referred to as acupuncture. In mid-2012, Chinese medicine became a nationally registered health profession. With registration came regulations such as a minimum of bachelor degree education, from an approved course and institution, in order to be able to practise. Another important change that came with registration was use of title. From mid-2012 onwards only those formally trained and registered as Chinese medicine practitioners were permitted to use the term “acupuncture”. Those other therapists like physios, chiros, osteos, and massage therapists, many of whom had simply done a 2-3 day course in “acupuncture”, had to come up with another term. Now, of course, I am writing this from the standpoint of an acupuncturist, and registration does act to some degree to protect the profession, however, the primary purpose above everything is to protect the public. It aims to protect the public from a safety perspective, but also from a treatment perhaps not being as effective as they were anticipating or lead to believe. How did the term dry needling come about? There is a technique called point injection. It is one of many techniques that could potentially be used to irritate an acupuncture point to create a therapeutic response. Traditionally, a point could be needled (acupuncture), massaged (acupressure), heated (moxibustion), or medicinal plasters/pastes/poultices/oils applied. In modern times we’ve added electrical stimulation to the points (electro-acupuncture), laser (laser acupuncture), the sewing-in of suture material, and the injection of some kind of liquid (could be saline, herbal, or pharmaceutical) into the point, to the list. The term dry needling comes out of a series of experiments that began with the injection of an analgesic (“wet needling”) into tender muscular points to relieve pain. As other drugs were trialed over time it became apparent that the effect they were achieving was due to the needling itself, not the substance injected. In other words, they could relieve pain with the needles “dry” just as they could with the needles “wet”. Is dry needling different to acupuncture? Dry needling has to some degree, and no doubt partly due to confusion over what it actually is, come to be viewed as a modality of its own. It certainly implies a very musculo-skeletal based treatment and might be considered a specialty style of acupuncture. In acupuncture, the main acupuncture points lie on a series of channels. Needling these points can reduce pain and inflammation and stimulate the repair of damaged tissue in the local area, but they can also be used to affect the internal organs regardless of whether there is local damage or not. Outside of the main channel system, lies another category of points, called “ashi”, which are other tender points throughout the body. These do not usually have an internal effect and are simply used to treat pain and heal local tissue. Someone who practises dry needling might refer to the tender points they are needling as trigger points. These could include main channel points or ashi points and are generally selected for their local tenderness, and not usually with any regard for traditional channel theory. Yes, absolutely. It is after-all acupuncture. It is simply a modern term for the age old practise of needling tender points for the (usually very effective) treatment of musculo-skeletal complaints. Dry needling is a great tool that can be incorporated into the practise of a physical-therapist such as a physiotherapist, chiropractor, osteopath or massage therapist. If you are seeing such a therapist for the other techniques they offer and they want to bring some needling into the mix – brilliant! 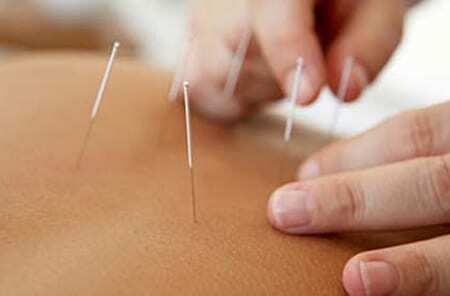 If you are especially seeking needling, would an acupuncturist have a deeper understanding of this therapy? Yes they would.